Well, since only a very few of my Facebook friends seem to have an interest in the particular music I am sharing, I might as well write for those very few. When I look for the birth of Rock 'n' Roll, I don't find just one artist, but more like a long braid of influences tied together, overlapping, with one strand tied into another. Of course there is Little Richard, Fats Domino, and Chuck Berry. And I am not forgetting Elvis or Jerry Lee Lewis, but to me the roots of rock are found in Black music. One of my very favorites is Chuck Berry, whom I actually met once at a late-night party in Berkeley, California in 1964. We were both in the back hall of a house, he going one way, I another. To me the rarest skill in music is the ability to write good songs. Songwriters are golden in my book. Music experts would agree that Chuck Berry is one of the great songwriters of his era, at least I believe so. But even a songwriter like Berry does not arise in a single leap like Athena from the head of Zeus. Much of what we have come to know as the "Chuck Berry style" of playing is a carefully-assembled mix taken from Berry's predecessors, those musicians who came before him. Chuck Berry's style influenced just about everyone who came afterward, including the Rolling Stones and the Beatles. 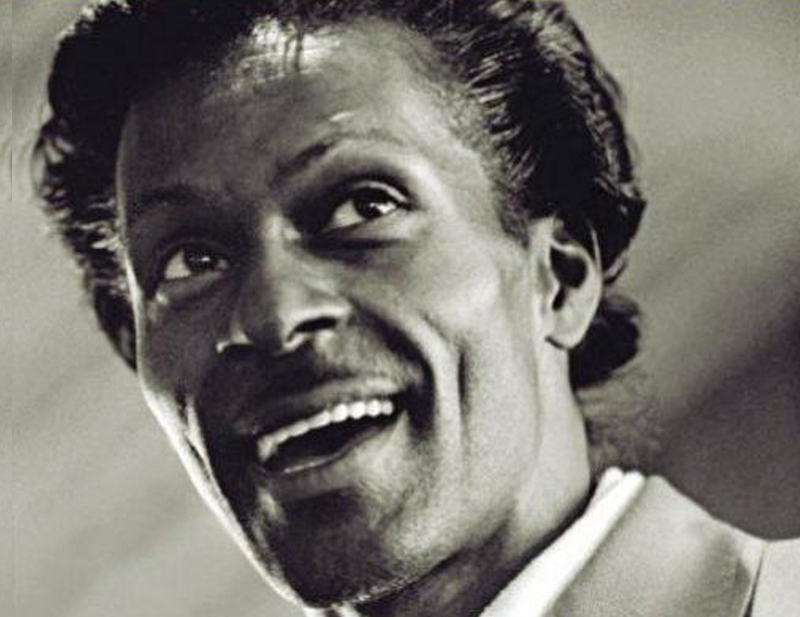 He is one of the brightest and most flexible songwriters the world has seen, but it should not surprise anyone that even the easily identifiable music style of Chuck Berry was a cobbled and carefully-crafted thing that he put it together from, as we all do, those who came before. I found it interesting to see where Berry's style came from and I am going to share that here with you. If you can afford the time to listen, I believe you will find it quite startling how little musically-speaking he invented. What is amazing is how he combined these previous influences into his own style. This is the rule, not the exception, in the history of music. It has its own ingrained lineage. And of course Chuck Berry is, above all, a librettist, a master of setting words to music. This is his true genius and, even when he pulls words from the past, he can't help but put his own personal spin on the song and make it entirely his own. But in this article, I am just going to point out by short examples you can listen to where Chuck Berry's musical style came from. I was amazed by this. What do you think? Here are a few of the components that he used to weave the "Chuck Berry Sound." Just to set the stage, listen to what is said to be the very first Rock 'n' Roll song, "Rocket 88," a 45 by Jackie Brenston & His Delta Cats (actually Ike Turner's "Kings of Rhythm"). It has the sound of what came to be the future, complete with fuzz-guitar backing by Willie Kizart. And let's not forget Chuck Berry's basic guitar sound, including the Berry double-string leads as expressed by Goree Carter in "Rock Awhile"
The single most influential guitar player on Chuck Berry (and every other electric-guitar player), especially when it comes to bending strings in leads, definitely came from T-Bone Walker, as expressed in songs like his "Strollin' with Bones." Just take a listen. And what about the opening guitar riff that we hear Berry playing in songs like "Johnny Be Good?" They came from songs like the Louis Jordan tune, "Ain't That Just Like a Woman" and the riff by guitarist Carl Hogan. This amazed me. And the background rhythm? These came from piano bass lines by players like Mead 'Lux' Lewis in tunes like his 1947 hit "Honky-Tonk Train Blues"
Chuck Berry, "Roll Over Beethoven"
Everything comes from somewhere. Only nothing comes from nowhere. I hope you find this as interesting as I do.